50+ Day means big savings! I.D.A. Greenbank Hunt Club Centre is run by a strong team who have owned and managed I.D.A. Drugstores in the Ottawa area for 25 years. All pharmacists at the Greenbank Hunt Club Centre location are trained diabetic counsellors who can offer advice, lifestyle coaching, help with product selection and even give injections. Specialist help can also be offered in the areas of heart health, asthma and chronic obstructive pulmonary disease, food intolerance testing, herbal consulting, quitting smoking and SAD light therapy. Flu shots will also be offered seasonally. Growing in demand, compound prescriptions are a major focus of the pharmacist team. Customized medical preparations are a highly useful option for many people today. Go to the website for online ordering or call in for interactive voice orders. The Better Living home healthcare section has a dedicated and trained staff member to help customers in need of body braces, including selection and fitting services. Vitamins, dietary supplements and a full range of health and beauty products, photocopying services, and much more. Quality of care, comfort and convenience are the hallmarks of the I.D.A. 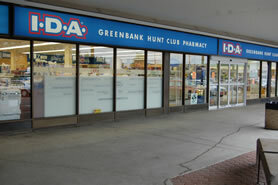 Drugstore at Greenbank Hunt Club Centre. 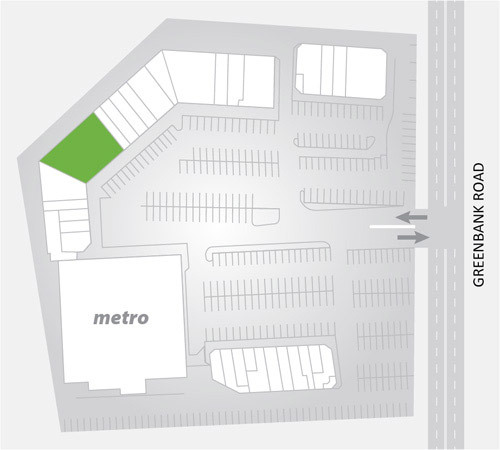 The deep attention to detail is apparent stepping into this large space at the back of the Centre: comfortably wide aisles, shelving within reach, the direct path to the pharmacy counter (paced out to be no more than 20 steps), and two private consultation rooms all work together to create a space that puts customers and accessibility first. 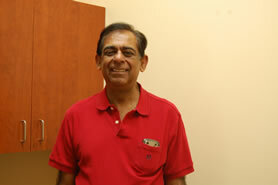 The owners, Esmail Merani (at the helm of an I.D.A. for 25 years) and Karim Merani, his son, call the area around Greenbank Hunt Club Centre home. They also have locations in Carleton Place, Stittsville and Richmond. The Meranis deliberately set out to create a health destination in their pharmacies, focusing on preventative measures, health management and home healthcare products. Counselling services are a major feature, offering much needed guidance to anyone managing multiple prescriptions, drug sensitivities and chronic health conditions. All pharmacists at the Greenbank Hunt Club Centre location are trained diabetic counsellors who can offer advice, lifestyle coaching, help with product selection and even give injections. Specialist help can also be offered in the areas of heart health, asthma and chronic obstructive pulmonary disease, food intolerance testing, herbal consulting, quitting smoking and SAD light therapy. Flu shots are offered seasonally. Growing in demand, compound prescriptions are a major focus of the pharmacist team. Customized medical preparations are a highly useful option for many people today. Food ingredient sensitivities and allergies are a significant factor for many customers, and compounding provides peace of mind. Some people have difficulty swallowing, absorb medications abnormally, or find themselves facing a short supply of their regular drug. Preparations suitable for infants, children and pets require special care. In all cases, compounding is the answer. Making prescription ordering services available online has been a tremendous success, along with interactive voice services on the phone and text message options. Typically, the I.D.A. pharamacists start their day filling a high volume of prescriptions that were received overnight. In addition to all the activity at the pharmacy counter, the Better Living home healthcare section has a dedicated and trained staff member to help customers in need of body braces, including selection and fitting services. A complete range of vitamins and dietary supplements help to round out the focus on wellness. Health and beauty lines, including Fruits & Passion and Crabtree and Evelyn, a wide selection of Hallmark cards, newspapers and magazines, as well as convenience food items round out the offerings from this location. There is even a photocopier on site. Open seven days a week, this I.D.A. Drugstore is everything you need and much more. Profile published June 2013; revisions November 2017.